Happy New Years everyone! I was supposed to get this out right before the holidays but #babylam got really sick and I had to put this on hold. Back in November I threw out an idea on Twitter to see if the #vCommunity would be interested in doing a group buy for some Supermicro kits, especially for those looking to upgrade their personal home labs to take advantage of all the new VMware goodies such as vSAN, NSX and PKS for example. Just thinking out loud … but would the #VMware Home Lab Community be interested in a potential Group Buy for Supermicro gear? Could be bare-bones chassis or some package configuration with memory + storage? Within minutes, I had several dozen replies and it was clear that folks were definitely interested in refreshing their lab, especially with a smaller and more modern platform. Over the last few weeks, I have been working with MITXPC (who I have worked with before) on putting together some packages that would appeal to the majority of the community. Initially, I was thinking about three options: system-only (no memory/storage), system with memory (no storage) and system with memory and storage. To be clear, system means complete chassis with CPU and motherboard included. Please see the product links below for more details. Disclaimer: I am not affiliated with MITXPC nor am I receiving any referral bonus/compensation for the discounts listed below. Supermicro kits such as the E200-8D is a very popular platform amongst the VMware community and with powerful Xeon-based CPUs and support for up to 128GB of memory, it is perfect for running a killer vSphere/vSAN setup! Earlier this Fall, Supermicro released a "big daddy" version to the E200-8D, dubbed E300-9D and specifically, I want to focus on the 8-Core model (SYS-E300-9D-8CNTP) as this system actually listed on the VMware HCL for ESXi! The E300-9D can support up to half a terabyte of memory and with the 8-Core model, you have access to 16 threads. The E200-8D is also a supported platform by VMware, you can find the VMware HCL listing here. I was very fortunate to get my hands on a loaner E300-9D (8-Core) unit, thanks to Eric and his team at MITXPC, a local bay area shop specializing in embedded solutions. In fact, they even provided a nice vGhetto promo discount code for my readers awhile back, so definitely check it out if you are in the market for a new lab. As an aside, when doing a quick search online, they also seem to be the only ones actually selling the E300-9D (8-Core) system which you can find here and in general, they seem to be priced fairly competitively. This is not an endorsement for MITXPC, but recommend folks to compare all prices when shopping online, especially as today is Black Friday in the US and Cyber Monday is just a few days away. 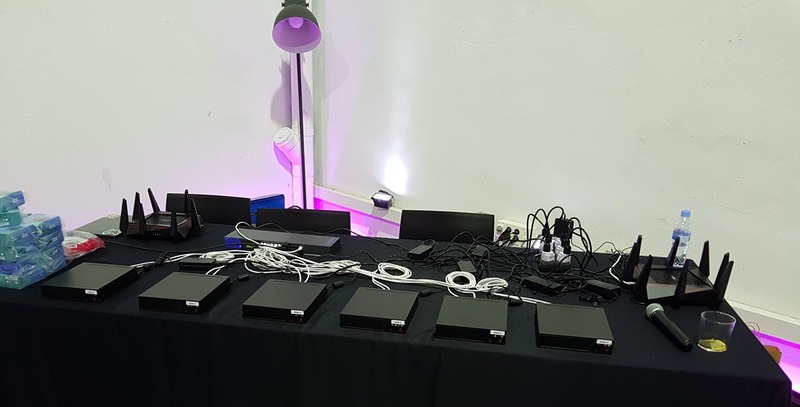 I know many of you have been asking about the hardware setup that we had used in this years VMworld Hackathon. I finally got a chance to document the details and you can find the complete hardware and software BOM below. For VMworld US, we had two different HW configurations, one for the primary Hackathon which was also re-used for VMworld Europe but we also had another configuration for the Hackathon Training sessions which was new this year. 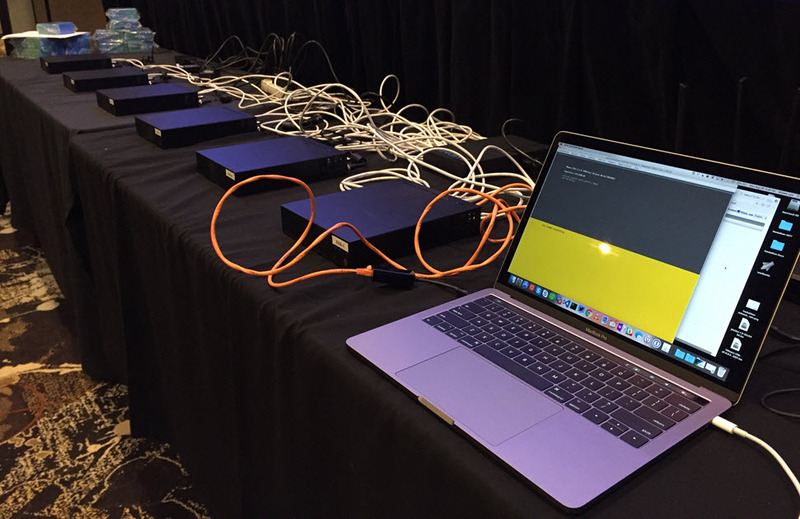 For VMworld Europe, we re-used the primary Hackathon hardware, but we also had the opportunity to take advantage of the new VMware Cloud on AWS offering and built a similiar configuration that teams could also remotely connect to as well. The only difference between the on-premises hardware and VMWonAWS, is the latter required users to RDP to a Windows jump host. Both options were provided and teams could select either environment to use. Note: Internally, CDW is one of our vendors for purchasing hardware/software and that is why there are links directly to their site. However, you may find better pricing by looking online, especially Amazon which majority of the components are cheaper except for the server which you can get an exclusive vGhetto Discount at MITXPC. I have added links to both CDW/Amazon where applicable and I recommend doing research to find the best pricing if you are on a budget. On a regular basis I already receive a number of inquires from both internal VMware folks as well as external partners and customers about VMware homelabs and the type of hardware that can be used. After demo'ing our recent USB to SDDC project, the requests have literally tripled! Most folks are generally inquiring BOM details and/or where to purchase the Intel NUC or the SuperMicro E200-8D. In particular, the SuperMicro E200-8D has probably received the most amount of interest lately. In fact, I am also interested in one after having an opportunity to play with one during the Melbourne VMUG. One thing I had noticed while talking to several colleagues who have purchased this system both locally within the Bay Area as well as overseas such as Australia was that one particular reseller kept coming up over and over again. That vendor was MITXPC which is a local bay area company located over in Fremont which specializes in Mini-ITX systems. The reason MITXPC was being used by the majority of these folks was simple, they had the best price for the SuperMicro E200-8D which was significantly cheaper than other vendors including Amazon. Having heard good things about MITXPC, I decided to reach out to them and see if there was anything special they could do for the VMware Community. I was able to get a special discount code that would offer folks an additional 2% off their entire purchase at MITXPC. For those of you who have been holding off on a refresh your home lab or itching to build your own, this is a great time! If you would like to take advantage of this offer, simply use the discount code VIRTUALLYGHETTO2OFF when you check out. 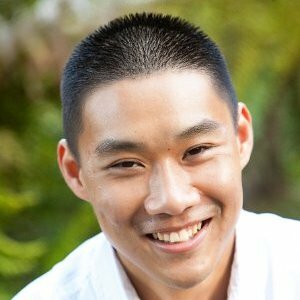 I would like to give a huge thanks to Eric Yui of MITXPC for working with me on this and helping out the VMware Community. Disclaimer: I am not affiliated with MITXPC.